What's bright green and goes from 1 to 11 as fast as you can step on the “On” switch? 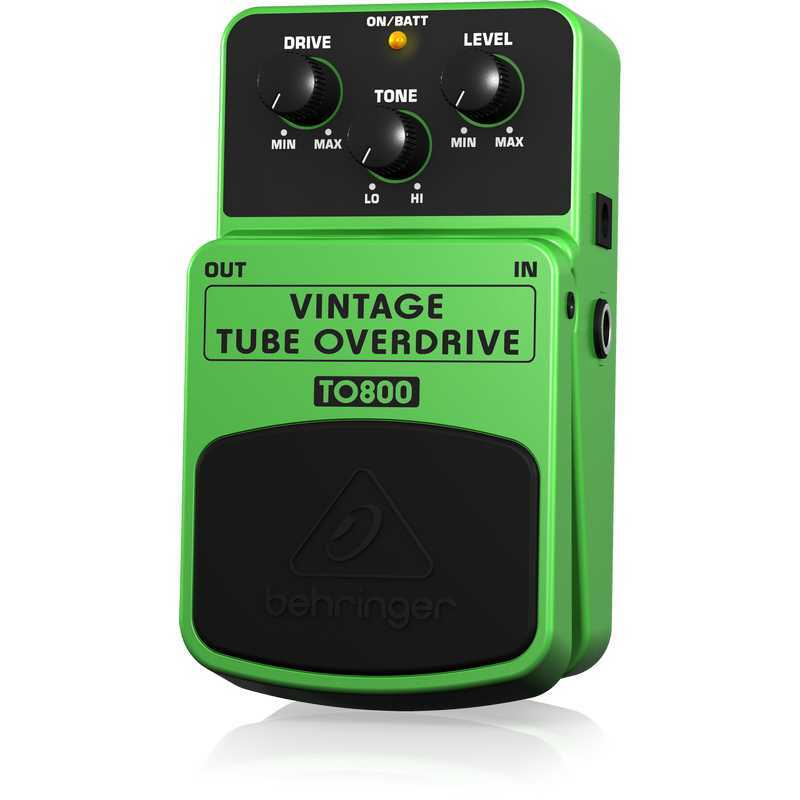 It’s the very essence of rock ‘n’ roll, our screaming-hot VINTAGE TUBE OVERDRIVE TO800 effects pedal! 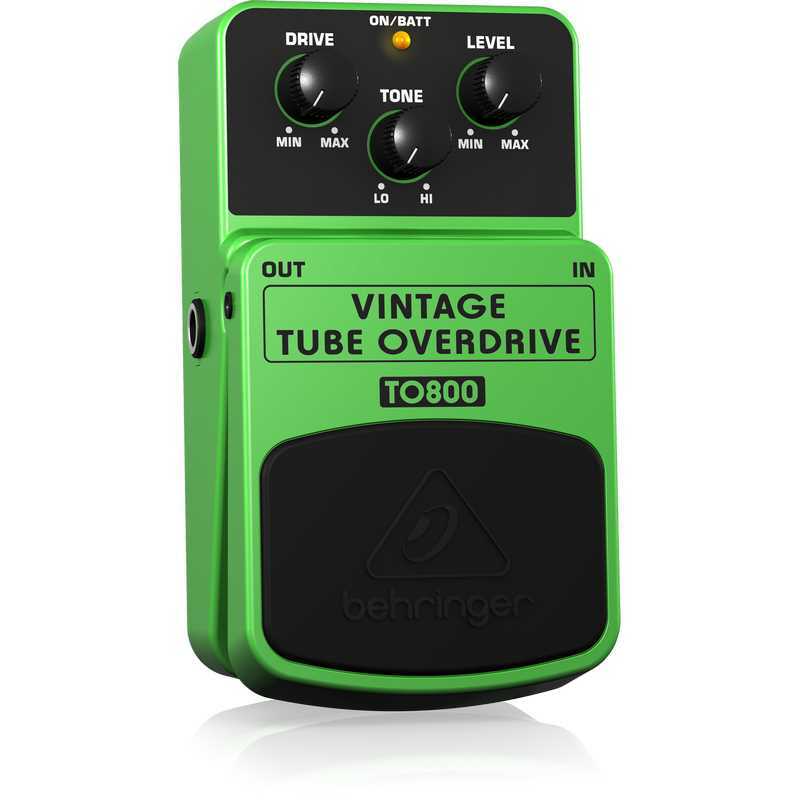 The classic sound of blazing, overdriven vacuum tubes never goes out of style, and they’re at your command – when you have the VINTAGE TUBE OVERDRIVE TO800 in your effects chain. In order to recreate the sound of real-tube crunch, we put the original 4558 op amps and legendary MA150 distortion diodes in the TO800, putting rock’s most powerful overdrive sounds at your disposal. The resulting output is extremely faithful to that of the vintage tone machines that made rock and roll history. Dedicated Drive, Tone and Level controls let you shape the exact sound you want. The status LED tells you when this pedal is activated, and the top-quality on/off switch provides the highest signal integrity in bypass mode. You can power the TO800 via a 9 V battery or our PSU-SB DC power supply (not included). 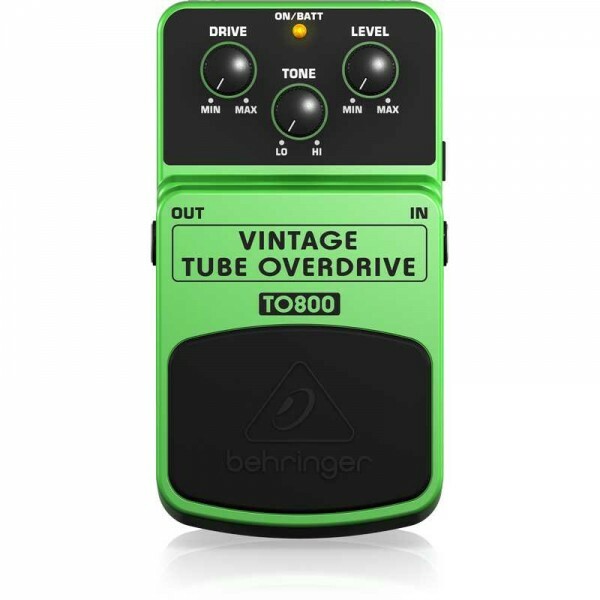 Take charge of the sound that immortalized rock with the VINTAGE TUBE OVERDRIVE TO800! At last, beautiful tube tone is no longer just a pipe dream – and the TO800 is perfect for guitar, bass and even keyboards, and so very affordable. With its original 4558 IC plus MA150 distortion diodes and Drive, Tone, and Level controls for authentic vintage sound, the TO800 is sure to satisfy even the greatest stompbox connoisseur. Test-drive the impressive VINTAGE TUBE OVERDRIVE TO800 at your BEHRINGER dealer today, or order one online – it will change your life! Headset Shure Skin Color Dual Ear - Lidi..
Konig & Meyer 2146 Speaker standAll clamps are high quality zinc die-cast. The leg construction and large fixed foot end caps enhance safety and stability. This professional stand is TÜV (German Technical Supervisory Agency) approved for a maximum central load capacity of 50 kg. Other features a..
Banana Stand Keyboard BKS 07..